PreKote® Surface Pretreatment is a non-chromated metal preparation chemical utilizing a safe, hazard-free process. PreKote offers superior adhesion, improved paint flexibility and corrosion protection on painted surfaces. PreKote® Surface Pretreatment is a non-chrome surface pretreatment utilizing a safe, hazard-free technology for use in the painting and coating industries. PreKote offers superior adhesion, improved paint flexibility, and advanced corrosion protection on painted surfaces when used as part of a coating system. PreKote Surface Pretreatment Wipes are a non-chrome surface wipe utilizing a safe, hazard-free technology for use in the painting and coating industry. PreKote single-use application wipes offer improved paint flexibility, and advanced corrosion protection on painted surfaces when used as part of a coating system. ST-1 is Pantheon’s newest surface pretreatment product. This break-through product provides companies with the opportunity to replace harmful processes and chemicals with one simple and effective product that drastically improves health and safety, simplifies the pretreatment process, saves money, and yields superior results. 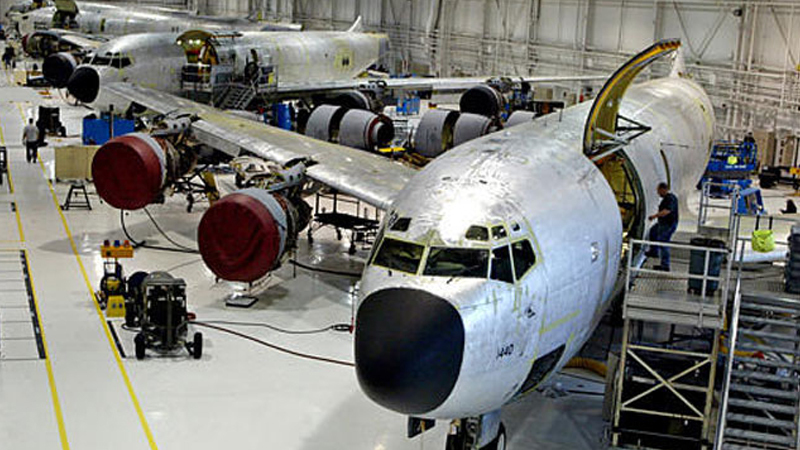 Pretreatment with the right product is important for minimizing corrosion, maintaining a premium paint finish, and protecting the exterior surface of any aircraft. But protecting time, money, employee health and safety, and the environments in which we work and live is also important. With PreKote, you get the best protection on every level. Multiple tests conducted by the Department of Defense and other agencies over the course of a decade have shown aircraft exteriors treated with PreKote hold up better over time. If you want the best pretreatment product available, you want PreKote. PreKote is an all-in-one, ready-to-use product that is applied to surfaces prior to them being primed or painted. The simple, fast process ensures superior paint adhesion, significantly minimizes corrosion, saves users valuable time and money, and reduces water usage. It's chrome-free, non-toxic and non-hazardous which means less PPE is needed and reduces HAZMAT shipping, storage, and disposal costs. And, it's the only product that provides unparalleled protection of aircraft, people, and our planet. That's why we say PreKote is Simply Superior. Most pretreatment products and processes are unnecessarily toxic, hazardous, time consuming and labor intensive, but not PreKote. It was designed specifically to replace both chromate and non-chromate conversion coating systems. With PreKote there's no need for alkaline washes, acid etches, conversion coatings, wash primers, sol-gel products, or solvent wipes. PreKote offers superior primer and paint adhesion, improved paint flexibility, and advanced corrosion protection on any and all paintable aircraft surfaces. It does this by cleaning microscopic pores and leaving behind a thin layer of film that promotes a stronger bond between the surface and the paint. This superior adhesion is the secret behind PreKote’s success. Just like our skin, paintable surfaces have millions of microscopic pores where dirt and contaminants become embedded. 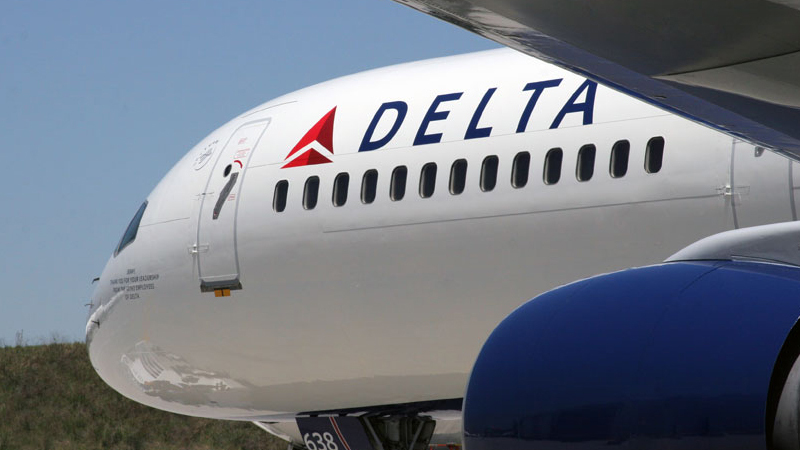 Over time, these microscopic contaminants become incredibly difficult to remove, and can actually block adhesion of primers and paint to the aircraft’s surface when processes such as chromate conversion are used. (See Image Above). This can lead to paint failures such as chipping, peeling, blistering, and out-gassing. 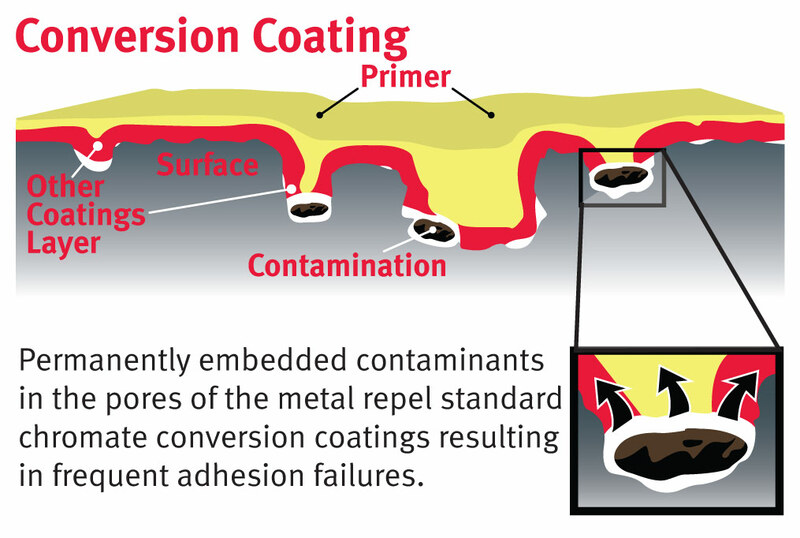 PreKote’s advanced technology actually cleans the surface, and removes contaminants by embedding creating a closer, stronger bond between the surface and coating (See Image Above). This results in fewer paint adhesion failures and better overall corrosion protection. 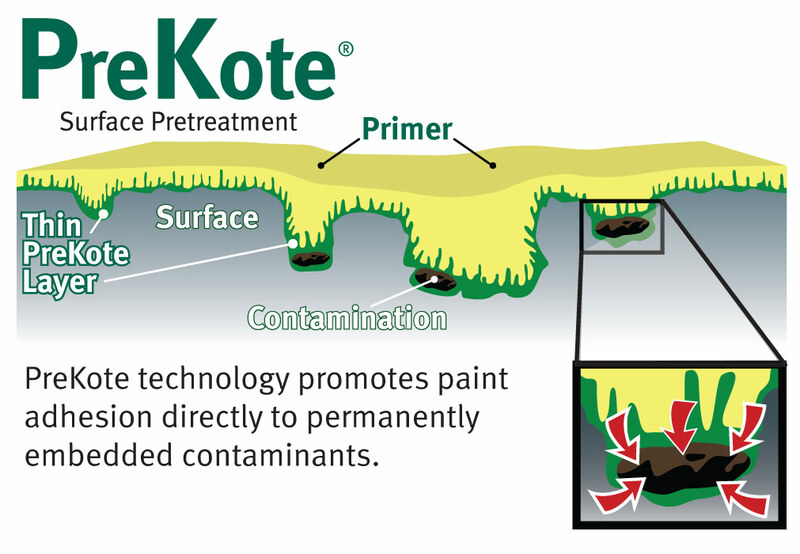 Regardless of the pretreatment process used, PreKote is the clear winner when it comes to saving time and money. 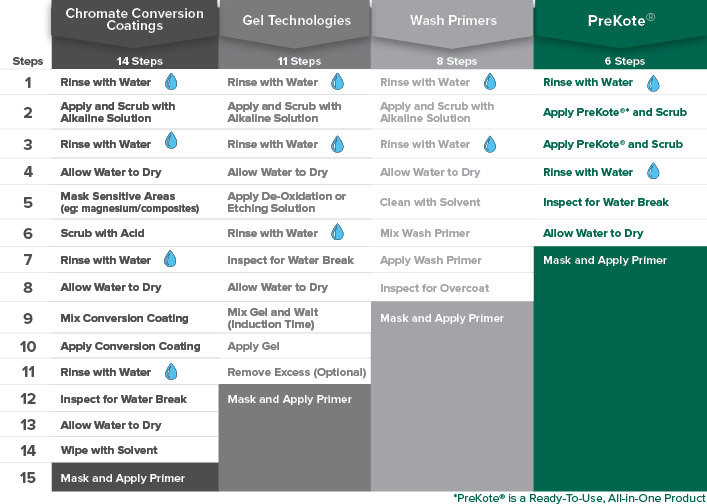 The PreKote process requires use of only one product and the 6-step process is incredibly quick and easy.